Veteran Saudi journalist Jamal Khashoggi disappeared over a week ago while on a visit to the Saudi Consulate in Istanbul, sparking an international uproar involving the kingdom, Turkey and the United States that remains unresolved until today. Khashoggi, a Washington Post contributor, had written columns critical of Saudi Crown Prince Mohammed bin Salman, the kingdom's stalemated war in Yemen and its crackdown on activists and businessmen. Turkish officials say they fear a team of Saudi agents killed and dismembered Khashoggi, and have released surveillance footage of the alleged perpetrators and mysterious movements outside the consulate on Oct. 2, the day he entered. The kingdom says the allegations are "baseless," but has offered no evidence Khashoggi ever left the consulate. Khashoggi maintained ties with Saudi elites and was viewed as a link between the West and the often opaque royal court. 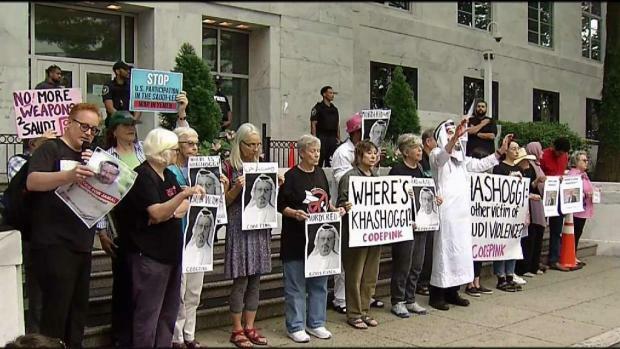 As a contributor to the Post, Khashoggi has written extensively about Saudi Arabia, including criticizing its war in Yemen, its recent diplomatic spat with Canada and its arrest of women's rights activists after the lifting of a ban on women driving. Khashoggi, whose 60th birthday was Saturday, went to the Saudi Consulate in Istanbul's upscale 4th Levent neighborhood on Sept. 28 seeking documents so he could be married to his Turkish fiancée, Hatice Cengiz. He was told to return to the consulate on Oct. 2 to pick up those documents, Cengiz says. Surveillance footage later aired on Turkish state television shows Khashoggi walking into the consulate at 1:14 p.m. on Oct. 2. A little less than two hours later, surveillance footage shows several vehicles with diplomatic license plates move from the consulate to the consul's home some 2 kilometers (1.2 miles) away. Cengiz, who spent hours waiting for Khashoggi outside while holding his mobile phones, says her fiancée never walked out of the consulate to meet her. Surveillance footage shows her pacing around outside at 5:33 p.m., speaking on her mobile phone. No footage made public so far has shown Khashoggi ever walked out of the consulate. Turkish officials, speaking on condition of anonymity to discuss the ongoing investigation, say they fear Saudi Arabia killed Khashoggi. They claim they have audio and video recordings of Khashoggi being interrogated, killed and dismembered. However, those alleged recordings have yet to be released publicly. Turkish security officials, rather than holding news conferences, have leaked information through pro-government media. Newspapers published the names and photographs of 15 Saudi men in the country's military and security services who they say formed an "assassination squad" sent to target Khashoggi. Turkish officials told The Associated Press one of those men was an "autopsy expert." Saudi Arabia has offered no explanation for how the writer left the consulate and disappeared into Istanbul as his fiancée stood outside waiting for him. Early Saturday, Saudi Interior Minister Prince Abdulaziz bin Saud said: "What has been circulating in terms of supposed orders to kill him are outright lies and baseless allegations against the kingdom's government." Meanwhile, Saudi media has tried to blame the crisis on Qatar, which the kingdom and three other Arab nations now boycott as part of a bitter political dispute, without offering proof of that country's involvement. The Qatar-fund satellite network Al-Jazeera has extensively focused on Khashoggi's disappearance over the last week. 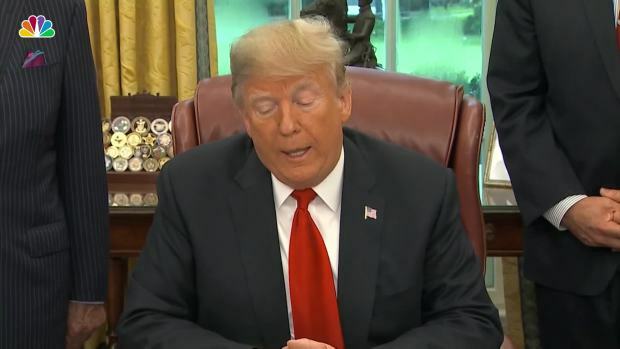 President Donald Trump has threatened "severe punishment" if authorities determine Saudi Arabia was behind Khashoggi's disappearance. However, he also has said he wants to maintain the arms deals he struck with the kingdom on a trip to Riyadh, his first overseas as president. Meanwhile, American lawmakers are threatening to sanction individual Saudi officials if evidence links them to the writer's disappearance. A Saudi team has arrived in Turkey to investigate Khashoggi's disappearance. Meanwhile, Turkey has said it will search the Saudi Consulate for evidence, but that has yet to happen. Turkey's Foreign Minister Mevlut Cavusoglu said Saturday that Saudi Arabia had not yet cooperated with Turkey on the search for Khashoggi. That could force Turkey's hand in leaking more information about the case to pressure the kingdom to cooperate.